Sean Chow came to the U.S. in search of a better education and a starting position on the Salt Lake Community College Men’s Basketball Team. Upon arrival, Chow realized that life was going to be different than what he had known in Taiwan. Despite the culture shock that is common among non-English speaking students, he has proven to be an invaluable asset for the Bruins. “Sean is exceptionally talented and carries himself very well on the court,” said basketball assistant coach Paul Marble. Before entering the U.S., Chow had already accomplished much. He displayed his talent at the national Lebron James camp held in China, where he was awarded the MVP. Chow was initially recruited by former head coach Norm Parish through overseas connections. “Sean is great. He does all the right things and he is a matchup problem,” said teammate Morgan Hesleph. 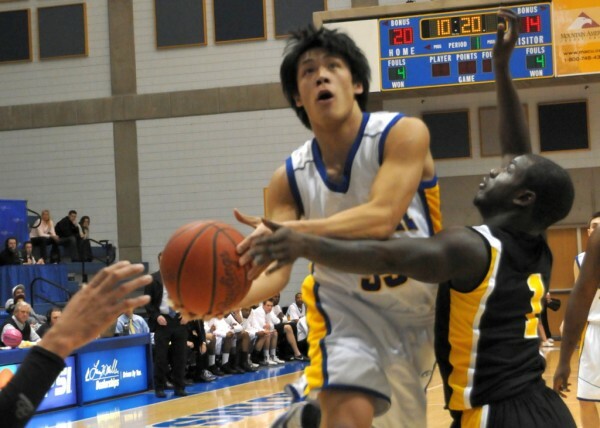 When Chow first started playing basketball for SLCC, he found his lack of English to be a struggle, both on the court and in the classroom. “He has gone through the ESL program and done remarkably well” said Marble. Chow hopes to play ball for two years and continue his basketball career at a four-year school somewhere in the United States. Taiwan, Chow’s native country, is approximately the size of two U.S. states, but has a population that exceeds 20 million people. Although Chow misses many things about his hometown, as he grows more accustomed to the American way of life he finds himself more accepting and has begun to really like certain aspects of living in Salt Lake City.